The Mercedes-Benz G55 AMG is a high-performance variant of the brand's boxy G-Class SUV. The G-Class can trace its roots back to the 1970s, when it was commissioned by the German military. Since 2002, the G-Class has been available in the U.S. as a high-dollar luxury vehicle billed as the ultimate SUV. The G55 AMG debuted for the 2003 model year with a 5.4-liter V8. That engine added a supercharger for 2005, producing a muscular 469 horsepower. Supercharged G55 AMG models boast 0-to-60 miles per hour times of around 5.3 seconds. 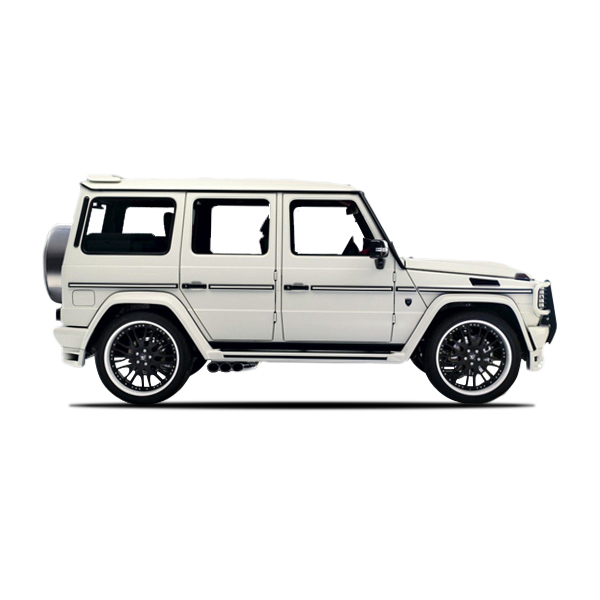 All G55 AMG models use a 5-speed automatic and offer full-time 4-wheel drive.